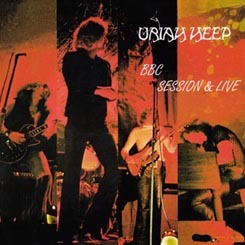 Uriah Heep recorded three tracks in Studio 5 at BBC's Maida Vale unit on May 5, 1970. The songs were recorded for Mike Harding's Sounds of the Seventies Show and originally aired on May 12, 1970. Only two of the songs recorded have surfaced to date. Another recording session was done in October 1970 for the BBC, the same lineup except with Keith Baker on drums recorded Bird Of Prey and Salisbury. Unfortunately neither track has ever surfaced from this session.